There should a little gray chain that showed up now that you clicked on it. This lets you know they're linked together. Step 4: Now click on the first layer you linked. In other words, click on the layer which you first put the little gray chain. In my example, I linked the text 'Cristina' first & then 'New Layer' so I would go back and click on Cristina. Instead of having 3 layers, you now have 2. 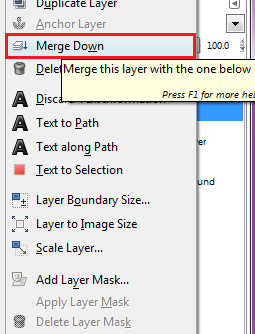 If you want you can repeat the whole process and merge the new layer with the background. Nice guide, very helpful. Thanks!